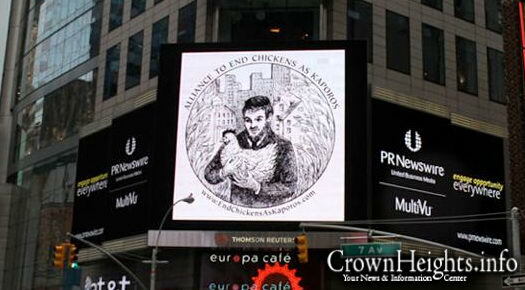 A Manhattan billboard by the Alliance to End Chickens as Kaporos. This week thousands of chickens are being slaughtered as part of the ‘Kaparot’ ritual performed by some Orthodox Jews before Yom Kippur. A live chicken is rotated over the head, expiation prayers recited and then the fowl is slaughtered by slitting its throat with a knife as sharp as a scalpel. The meat is then donated to the poor. The ritual is arguably more humane than the standard factory farming practices of cramming poultry in crates, hanging them upside down by their ankles, stunning them with an electrical charge, then cutting their throats and arteries, yet Orthodox Jews doing Kapparot are often singled out for public criticism and scrutiny. The real difference between Kaparot and factory farming is that factory farming takes place behind closed doors, whereas Kaparot is usually performed in very public places, like the streets of Brooklyn and Queens. Disturbingly, very few laws exist regulating maltreatment of poultry. Thirty states exclude fowl and farm animals from anti-cruelty laws. Kaparot’s very public killing of chickens is a way to raise awareness for reform and necessary regulation. 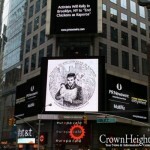 Within the Jewish community Kaparot has raised such awareness. Last week, Israel’s Ashkenazi chief rabbi, David Lau, reiterated how Jewish law requires one to perform this ritual humanely without causing any unnecessary suffering. Although this is a relatively obscure ritual performed by mostly Hasidic Jews, this practice has garnered national controversy with PETA calling for the banning of the practice and many rabbis even criticizing it, encouraging the use of money as an alternative to chickens. Controversy around this practice does exist in Jewish law. Some rabbinic authorities encourage Kaparot while others forbid it because of alleged pagan roots or because of animal cruelty concerns. Nonetheless, thousands of Jews have been performing it for centuries. The vast majority of people condone killing chickens for food in every other context. In the U.S. alone, more than 7 billion chickens are killed each year, many undergoing painful debeaking and suffering under abhorrent conditions. Kaparot at least forces people to reckon with and appreciate the fact that animals are giving up their lives to sustain us. It forces us to recognize that chickens don’t come saran wrapped in grocery stores or in Kentucky fried chicken buckets. Beyond selective claims of animal cruelty is also a disdain and intolerance for a revered religious ritual practiced by many Hasidic Jews. A ritual protected by the sacrosanct right to freedom of religion. The end result of both factory farming and Kaparot is the same: chickens are killed to sustain people. To be fair, those criticizing Kaparot under the guise of animal cruelty ought to be consistent in their condemnation and perhaps show some appreciation for the fact that the ritual annually puts mistreatment of chickens in the spotlight. Eliyahu Federman writes on religion, culture, business and law at the Huffington Post. He is an executive at 1Sale.com. 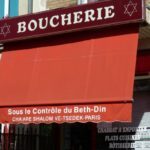 The same torah teachins which affirm the importance of minhag yisroel, kaporo by giving to the poor and tha slaughter MUST be done only in a technique which minimizes pain Tzaar..
We should demand from the handful who organize these chickens deliveries that they do it Yes DO IT, but in a way that doesnt violate halacha! Lets do the right thing in the right way! Maybe demand the same from all the Shlachthoysen that supply your meat? its very interesting, that these same “animal rights groups” are liberal mostly Jewish people who dont flinch at late term abortions, without a doubt the most barbaric of all abortions. We see also that the one of the worst criminals of all time Mengele emach shmo would cry if his puppy was sick, after he murdered 100, 000 men women and children a day. ITs true we have to make sure these chickens are treated with compassion and mercy, but these groups are at best hippacrites and worst dangerous anti semites. Valid points. It always did annoy me that the same people who cry over people drinking milk will see nothing wrong with murdering an unborn child, even in the last 3 months. Why not be consistent and oppose ALL cruelty, to BOTH animals and humans? Who knows? Maybe more of us would become vegetarians if we could see some consistency in their beliefs? To suggest that the chicken kaporos ritual may be good because it draws attention to the plight of chickens on industrial farms is misleading. The chickens used for kaporos come from industrial farms. They are locked in transport crates for up to a week, unable to move their limbs or to stand up straight while being deprived of food, water, and shelter. For a commenter to say that a dehydrating chicken “didn’t want to drink water” is to misunderstand. These chickens are much too traumatized to drink water under these conditions. It’s only when they are rescued and de-stressed under sanctuary conditions that the survivors can start drinking water, stretch their limbs and de-traumatize from the treatment inflicted on them by both factory farmers and kaporos practitioners. Karen Davis, PhD, President of United Poultry Concerns & the Alliance to End Chickens as Kaporos.